Join us for the free webinar “The Power of Observations for improved decision making in support of public health and economic vitality: Gathering Alligators, Taking Observations, Realizing Solutions (GATORS)” on July 24 at 12:00 PM ET. Dwayne Porter from University of South Carolina will provide an overview of the value derived by integrating data and sound science in support of public health and economic vitality decision making. Examples will illustrate instances where management decisions have benefited from decision support tools that make use of data integrated across multiple coastal and ocean observing systems. 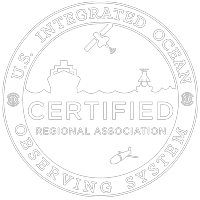 A goal of NOAA’s National Ocean Service is to increase coastal intelligence with a commitment to integrating scientifically-defensible data, models, and decision-support tools to improve the ability of decision makers scaling from federal agencies to the private individual. Implementation and maintenance of robust data management and communications infrastructures are critical challenges for development of successful collaborative scientific and management initiatives. Enhancing and expanding the value and utility of the data provided by individual observing systems and monitoring programs is of utmost importance. To be valuable, decision support tools must be able to integrate and assimilate data from multiple observing systems and monitoring programs in order for management communities to address societal needs beyond the original purpose of any individual system/program. This webinar will provide an overview of the value derived by integrating data and sound science in support of public health and economic vitality decision making. Examples will illustrate instances where management decisions have benefited from decision support tools that make use of data integrated across multiple coastal and ocean observing systems. Dr. Dwayne E. Porter holds a joint administrative / faculty appointment with the Arnold School of Public Health (ASPH) and the Baruch Institute for Marine and Coastal Sciences at the University of South Carolina. Within the ASPH. Dr. Porter is a fulltime Professor, immediate past Chair and current Associate Chair and Director of Graduate Studies for the Department of Environmental Health Sciences. Dr. Porter is also a faculty member in the Environment and Sustainability Program and the School of the Earth, Ocean and the Environment, and administers the Geographic Information Processing Laboratory housed in the Baruch Institute. Dr. Porter also directs the activities of the NOAA National Estuarine Research Reserves System’s Centralized Data Management Office located in Georgetown, SC. Dr. Porter’s research interests include exploring and expanding the increasingly important roles that technology and technological innovations play in monitoring, assessing, modeling and managing our environmental resources and associated environmental, public health and environmental justice issues. Dr. Porter focuses on the use of the tools of GISciences to develop and apply spatial models to study the impacts of anthropogenic and physiographic influences to coastal resources and potential human health concerns. Dr. Porter focuses on the use of the same tools in support of effective, participatory community engagement.